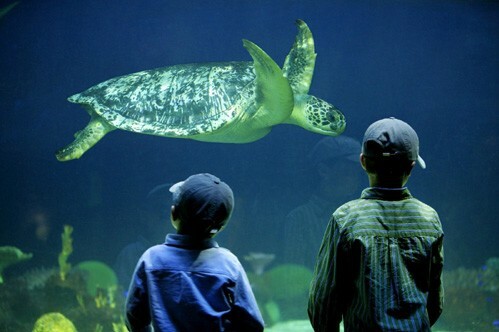 The Virginia Aquarium & Marine Science Center provides a unique educational adventure which you will not find anywhere else! The museum is one of the top ten most visited aquariums in the nation... and rightly so! View sharks, seals, sea turtles or touch live sea animals, create hurricanes, design your own fish on a computer and more! 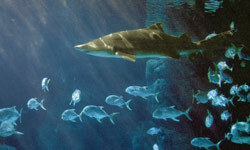 Virginia's marine environment is represented through 800,000 gallons of aquariums and live animal habitats. Explore more than 300 hands-on exhibits, as well as 1/3-mile nature trail, plus ½-acre aviary. Ask about "Cruise The Creek" Tours! A 50-passenger pontoon boat, the Rudee Explorer, provides a glimpse of the last undeveloped salt marsh in Virginia Beach, the Owls Creek Salt Marsh. During the 30-minute cruise Aquarium educators introduce visitors to Owls Creek’s special ecosystem and some of its inhabitants. 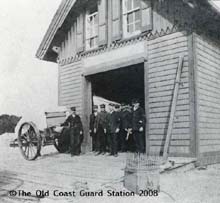 Trips leave from the dock adjacent to the Aquarium's Bay Ocean Pavilion. Cruises are offered April through mid-October. You'll be awe struck by the "Larger that life" movies on an IMAX movie screen (8 stories x 6 stories). Don't miss the sting ray exhibit where you can actually reach down and run your hands along their soft, velvety skin... what an experience! The Virginia Aquarium & Marine Science Center’s new multi-million dollar, 12,000 square renovation. 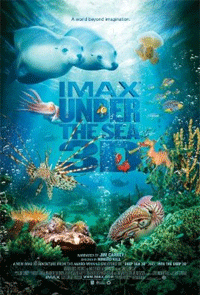 In early 2009, IMAX released its latest 3D creation, Under the Sea 3D. Moviegoers will be transported to some of the most exotic and isolated undersea locations on Earth, including Southern Australia, New Guinea and others in the Indo-Pacific region, allowing them to experience face-to-face encounters with some of the most mysterious and stunning creatures of the sea. It will offer a uniquely inspirational and entertaining way to explore the impact that global climate change has had on ocean wilderness. In IMAX 3D, the images literally leap off the screen and float around the theatre, putting the audience “in” the movie. Under the Sea 3D is the third IMAX 3D co-production between Warner Bros. Pictures Inc. and IMAX Corporation. The film is a “sea-quel,” so to speak, to IMAX’s Deep Sea 3D, which is still out in theaters and just crossed the $60 million mark. The documentary will be narrated by Jim Carrey. “Jim Carrey is a favorite of film audiences everywhere and of every generation, so he is the perfect choice to narrate this undersea adventure for moviegoers of all ages,” said Dan Fellman of Warner Bros. Pictures. “His voice will draw people into this world of mysterious creatures and dazzling colors,” added Greg Foster of IMAX Filmed Entertainment. Under the Sea 3D is filmed by award-winning director/cinematographer Howard Hall, produced by Toni Myers, executive produced by Graeme Ferguson, and produced for Howard Hall Productions by Michele Hall. In addition to the 2006 release of Deep Sea 3D, Hall, Ferguson and Myers were all part of the accomplished filmmaking team behind IMAX’s first underwater 3D adventure, Into the Deep, which has grossed more than $70 million since its 1991 release. The Contemporary Art Center of Virginia is a nonprofit, noncollecting institution founded in 1952 to foster awareness, exploration and understanding of the significant art of our time. Regularly changing exhibitions feature painting, sculpture, photography, glass, video and other visual media from internationally acclaimed, artists as well as artists of national and regional renown. This museums offers activities including monthly exhibits, adult & children's education programs & outdoor art shows. Its Annual Boardwalk Art Show is the largest on the East Coast. 22nd & Park Ave. Va. Beach. (757) 425-0000. 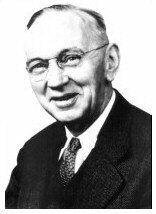 Edgar Cayce's Association for Research and Enlightenment, Inc. (A.R.E.®), is a not-for-profit organization founded in 1931 by Edgar Cayce (1877-1945), to research and explore transpersonal subjects such as holistic health, ancient mysteries, personal spirituality, dreams and dream interpretation, intuition, and philosophy and reincarnation. With an international headquarters in Virginia Beach, Va., a regional headquarters in Houston, regional representatives throughout the U.S., Edgar Cayce Centers in 37 countries, and individual members in more than 70 countries, the A.R.E. community is a global network of individuals who offer conferences, educational activities, and fellowship around the world. Thousands of books have been written on the subject matter found in the readings, and dozens dedicated to the story of Edgar Cayce himself. In addition to study groups and local regional activities, A.R.E. offers membership benefits and services, a body-mind-spirit member magazine titled Venture Inward, a member newsletter covering topics including ancient mysteries, personal spirituality, and holistic health, publications, conferences, international tours, a massage school curriculum, a retreat-type camp for children and adults, an impressive volunteer network, and A.R.E. contacts across the globe. A.R.E. also maintains an affiliation with Atlantic University (which offers continuing education classes and a master's degree program in Transformative Theories and Practices), and an onsite Health Center & Spa at its Virginia Beach headquarters, where many of the health readings remedies are offered along with massage therapy.